One of the nicest homesites available in the Superstition Foothills community! Meticulously maintained, original owner Toll Brothers home backing to a large mountainous desert area on a private, cul-de-sac street. 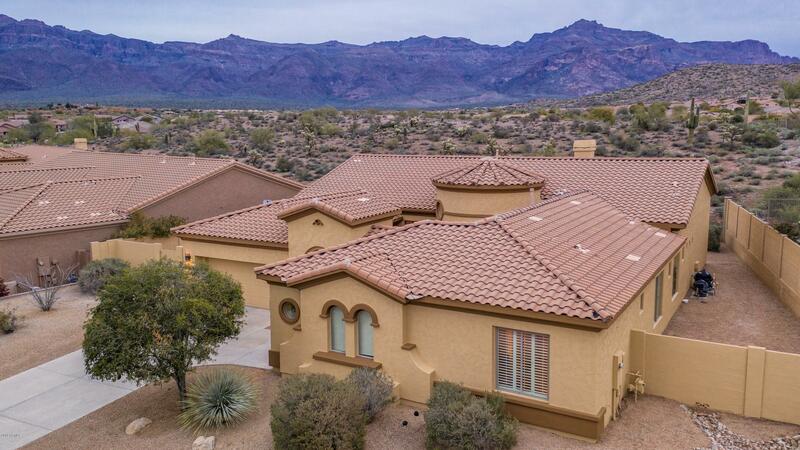 Premium Superstition Mountain view lot with breathtaking, panoramic views (at 12,693 square feet, this lot is extra wide offering added distance from the neighboring properties). Pride of ownership shows throughout this well designed floor plan with 4 bedrooms (or 3 bedrooms and separate office), huge bonus/game room, spacious gourmet kitchen, large view windows, 12 foot ceilings, expanded covered patio, pool/spa, and more! Recent upgrades/improvements include complete interior/exterior repaint, $9,300 YORK HVAC system (4 Ton, 16 SEER), new water heater, and new water softener!